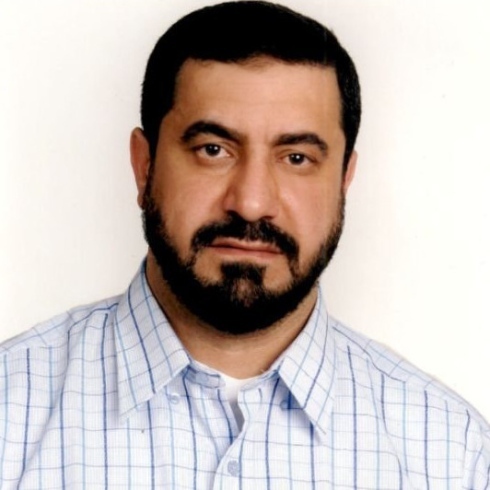 In Brent, northwest London, in the evening of April 12, a 46-year-old man was arrested as part of the ongoing investigation into the April 7 murder of the Syrian-born imam, Abdul Hadi Arwani, a long-time opponent of the Syrian regime of Bashar al-Assad. Those options still stand, but some important updates over the weekend have helped alter the relative likelihood of each. Robert Mendick in The Telegraph provides clear evidence that Arwani’s assassins were not amateurs, whatever their motives. Arwani had been telephoned by a man whose identity remains a mystery, and asked to provide a quotation for a building project, according to Arwani’s friends. Arwani went to meet the man at a property near Wembley Stadium on April 6. Arwani took along one of his teenage sons. When [Arwani and his son] arrived, the man, who had two companions, apologised profusely, saying he had forgotten his keys. He asked Mr Arwani to return the next day at 11 a.m. There was no need, explained the man, for Mr Arwani’s son to come the next day too. On Tuesday [April 7], Mr Arwani duly parked his Volkswagen Passat in the same spot on a “blind” bend at the junction of Greenhill and The Paddocks out of sight of CCTV cameras. It is understood that when his body was discovered slumped at the wheel, the engine of his car was still running and the doors locked. The driver’s window was half open. Other than the clear evidence of premeditation, two details leap out of this: whoever struck down Arwani wanted only Arwani dead and, to position Arwani out of sight of CCTV, the killers had some skill. Both details suggest this was a professional hit. On April 8, Scotland Yard announced that officers from Counter Terrorism Command—known as SO15—were to head the inquiry into Arwani’s murder, rather than the homicide and major crime squad, which had initially been put in charge. This was most unusual, but the evidence here explains why such a decision would be taken. While the terrorism angle points suggestively toward Assad and his allies, there are other possibilities. Hussein Kesvani at BuzzFeed has been investigating Arwani’s murder, and his excellent write-up of the available evidence suggests at least two other possible directions from which a politically-motivated hit could come. Arwani was the director of An-Noor Mosque in Acton, west London, between 2005 and (formally) 2012, though Arwani actually quit in 2011. One worshipper at An-Noor Mosque tells Kesvani that while the mosque is “Salafi,” Arwani was a “Sufi,” which in some Salafist circles, notably among ISIS supporters, is regarded as heretical. Then there are videos of people, mostly young men, converting to Islam at An-Noor Mosque. Some of the converts are white. Many far-Right “white nationalist” groups cast narratives where Muslims are seeking to colonise Western States from within; they can be assumed to take a dim view of a mosque that seeks, let alone achieves, white converts. Arwani’s foes at An-Noor Mosque were not just ideological, but also political. Arwani became the imam at An-Noor Mosque after the building and surrounding land were purchased in 2005 by Brickridge Ltd, owned by Burnell Mitchell, 61, a builder now known as Khalid Rashad after his conversion to Islam. Mitchell/Rashad is also a director of An-Noor Trust and de facto controller of An-Noor Mosque. Arwani also campaigned against the deportation of the hook-handed Abu Hamza al-Masri and Babar Ahmed to the United States, during which time Anjem Choudary claims he met Arwani. Arwani also “knew” Umar Othman (Abu Qatada al-Filistini), one of al-Qaeda’s most important ideologues, according to Arwani’s friends, though they are at pains to stress that Arwani was against terrorism. Mendick notes that there is “no evidence” Arwani was engaged in violent activity. Arwani arrived in London in 1995. At that time there were so many Islamists arriving in London, many of them on the run from Arab dictatorships against which they had launched failed revolutions (notably Algeria), that the French would come to call the city “Londonistan”. The Islamists who set up in London conceived of themselves as having a “covenant of security” with Britain. Having signed visa documents, the Islamists believed, they were agreeing that while they could organise and finance Salafi-jihadist terrorism from London, they would not launch any attacks inside Britain. There are signs that the British government accepted this deal, which has laid the groundwork for so much of the present trouble, including ISIS’ video-butcher Mohammed Emwazi (“Jihadi John”), who got started in an al-Qaeda network in London. UPDATE: On April 14: A 36-year-old man, Leslie Cooper, of Nightingale Road, Brent—the northwest London borough containing Wembley—appeared at Camberwell Green Magistrates’ Court and was charged with Arwani’s murder. Cooper was arrested in the evening of April 12. The Telegraph reported that Cooper was a “Jamaican national” who “runs a Jamaican-themed clothing company”. UPDATE TWO: Later on April 14, the investigation turned very definitely toward An-Noor Mosque with the arrest of Burnell Mitchell (a.k.a. Khalid Rashad) on suspicion of conspiracy to commit murder. Hassan Anyabwile, the wheelchair-bound Islamic extremist who was paralysed during a violent coup attempt against the elected government of Trinidad and Tobago in July 1990 and who replaced Arwani as the mosque’s day-to-day director, told the Telegraph that Mitchell had been arrested but Anyabwile “refused to discuss what the disagreement [between Mitchell and Arwani] was about.” The mosque itself was searched, as were several other addresses. UPDATE THREE: On April 15, a 53-year-old woman connected to An-Noor Mosque was arrested on suspicion of being involved in the “commission, preparation and instigation” of terrorist acts. And on April 17, a 36-year-old man was arrested on suspicion of conspiracy to murder. The arrest was only made public on April 19 when he was released on bail. UPDATE FIVE: On May 8, Mitchell/Rashad appeared at Harrow crown court via video link from prison. Rashad will have a plea and case management hearing on July 17. There is a provisional trial date of Oct. 5. UPDATE SIX: On October 19, 2016, Burnell Mitchell (Khalid Rashad) was convicted in two separate trials and sentenced to life in prison. In the first trial, Mitchell was convicted of hiring Leslie Cooper, 38, a Jamaican-born former soldier from Harlesden, north-west London, who served with the Princess of Wales regiment in Iraq, to murder imam Abdul Hadi Arwani. Mitchell knew Cooper from the building trade and on Feb. 2, 2015, the pair had met at Mitchell’s home in Monk’s Park, Wembley, where they are believed to have plotted the hit; they met again on Feb. 13 and Cooper sent pictures and a video of a machine gun to a girlfriend in Jamaica. Cooper met Arwani on April 6 but delayed the assassination because Arwani’s son was present; Cooper murdered Arwani the next day, and used a girlfriend as an unwitting getaway driver. In the second trial, Mitchell was convicted for the illegal possession—in his home, a stone’s throw from Wembley stadium—of military-grade plastic explosives and rounds of ammunition. This entry was posted in British Domestic Terrorism, Islamic Militancy, Syria and tagged Abdul Hadi Arwani, Abu Qatada al-Filistini, al-Qaeda, Algeria, An-Noor Mosque, An-Noor Trust, Anjem Choudary, Bashar al-Assad, Burnell Mitchell, far-Right terrorism, Iran, ISIS, Islamic militancy, Islamic State, Islamism, Jihadi John, Khaled Rashad, Khalid Rashad, London, Londonistan, Mohammed Emwazi, Muslim Brotherhood, Russia, Salafi-jihadism, Salafism, Syria, terrorism, white nationalism on April 13, 2015 by KyleWOrton. This story has sunk without a trace – have there been D Notices issued about it? It’s gone for now; I think part of that might be because of legal complications while it’s at trial. I’m sure it’ll come back a bit at least for the verdicts.